Designed by LSA founder Monika Lubowska-Jones, each piece in the Dame range is encircled with a thick glass rim, the distinctive foot adds a vintage-inspired detail to this modern collection of mouth blown candleholders and serving pieces. Each piece is handmade and individually boxed in photographic packaging.The minimal elegance of the Dame Storm Lantern is beautifully mouth blown by the master glassmakers of LSA international. 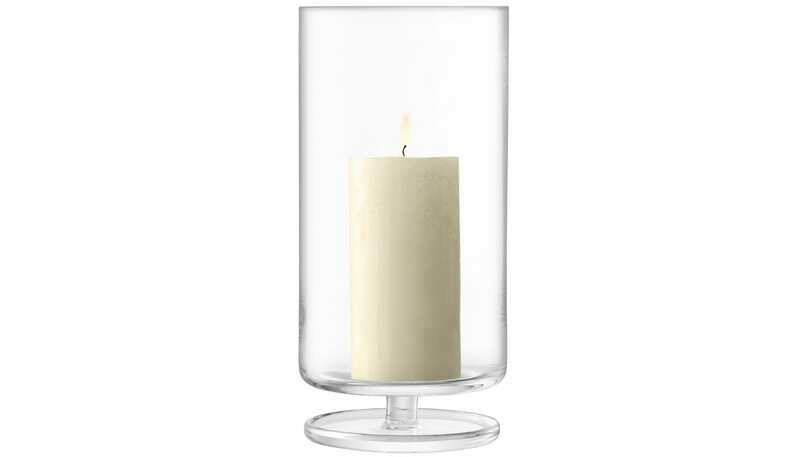 Available in a choice of sizes each of which is supplied with a classic pillar candle, this modern designed candle holder features vintage-inspired detail encircled with a thick rim of glass. Supplied with a pillar candle.